This is Jess Lydonn the girl who suffer a susac syndrome which made her loses her memory every 24 hours. Maybe you know the movie called 50 First dates where Drew Barrymore has a weird memory condition that makes her relieve the same day every time she wakes up. How if those condition happen in the real life? It's really a worst nightmare right? 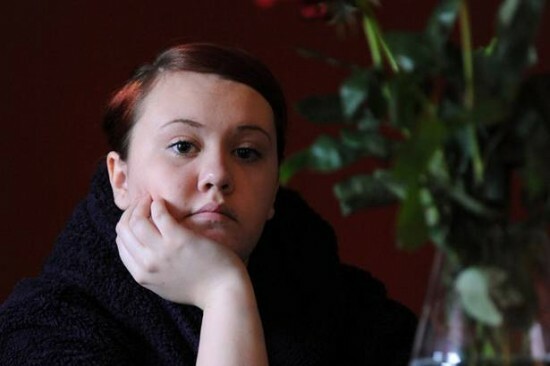 Jess Lydon a 19 years old girls from Coventry loses her memory every 24 hours. This ultra rare neurological condition condition was diagnosed just two weeks ago. It makes her cannot remember anything that she done yesterday. She is one of just 250 known sufferers in the world of the 'Groundhog Day' syndrome - so-called in reference to the 1993 film starring Bill Murray as a grumpy weather forecaster forced to relive the same 24 hours over and over. Instead of returning to the past, Jess is actually trapped in the present. She has been affected by a rare condition known as Susac Syndrome that only allows her to remember what happened in the past 24 hours. Needless to say, this is highly upsetting to Jess and her family. It gets so bad sometimes that she cannot remember what she had for dinner the previous night, or what she did on Christmas and for her birthday. Looking at family pictures confuses her, as she can’t recollect any of the events that took place. The worst part is that although she split up with her boyfriend almost 2 years ago, she wakes up thinking they’re together every morning. Imagine having to relive a heartbreak every single day of your life. Susac syndrome is a brain disorder so rare that only 250 cases have been reported so far in the world. And victims like Jess suffer a lot more than just memory loss. She’s also had severe headaches and dizziness, for which she was rushed to the hospital and had to endure three months of tests. What actually triggers the condition is not known. It may disappear in five years, or cause even more serious problems like loss of sight and hearing. Jess Lydonn only remembers 24-hour’s worth of events. It's really a bad nightmare for her. How does it feel when you woke up every day and you still thinks it's the same day? ?